I recently promised to post an interview with a Christian Aid representative about the situation in Syria – and here it is! Many thanks to Jessica Hall, who has put substantial work into giving us a real insight into what life looks like for the millions of Syrian people we hear about on the news, and more than that, offering us practical ways to get involved in standing by them. Could you introduce yourself and maybe tell us a bit about how/why you came to work for Christian Aid, and what your role is? 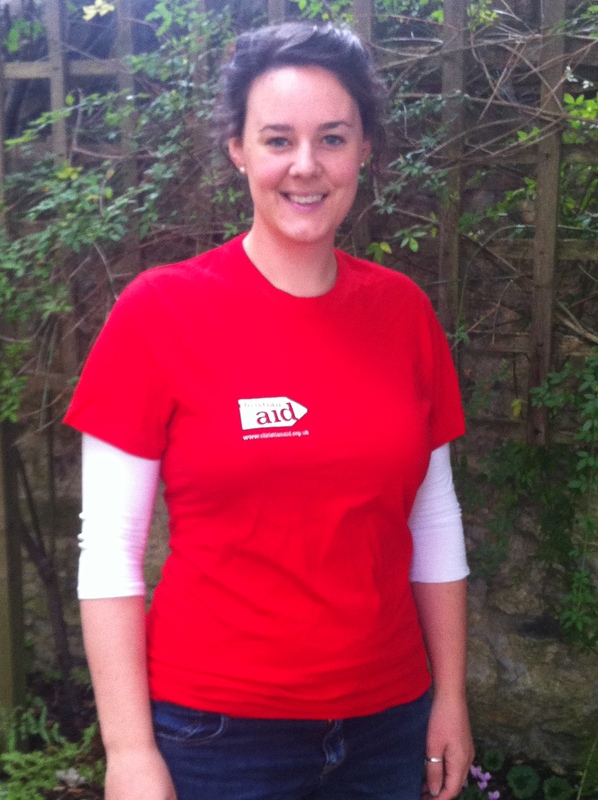 My name is Jessica Hall and I am a Regional Coordinator for Christian Aid. I specifically support and encourage Churches, Christian Aid Groups and individuals in Berkshire as they think about the issues of poverty and justice. I seek to help people to see how they can respond to these issues by praying, taking action and giving through Christian Aid. I started working for Christian Aid four years ago, in what feels like the culmination of many years of getting ready, having studied International Development at university and wanting to work in the field of development for some time. It was while I was studying that I realised that I wanted to inspire and motivate people to be involved in issues of social justice. Christian Aid, in particular allows me to not only do that but encourage others to put their faith into action. Christian Aid have been working with displaced people from Syria for some time now. How long have people been leaving the country? The conflict in Syria started in March 2011 and so people have been leaving the country from around this time. Since that time more than 100,000 people have been killed and over two million refugees have fled to neighbouring countries. Another 4.25 million have been displaced inside Syria. The number of refugees fleeing the country has doubled since March 2013, with the number of vulnerable people increasing as the humanitarian crisis deepens. What are the main reasons that Syrian people coming to your partners in Lebanon and Iraq give for leaving their homes? Syrians are leaving their homes because of the violence is Syria. It is simply not safe, neighbourhoods are being bombed and people are scared. Nasrin arrived in Baynjan, Iraq recently with her husband, 12-year-old triplets and younger son after leaving Syria. They had spent two days in the hallway of their home, sheltering from bombs falling nearby. What are conditions like for Syrian refugees in these countries? Fleeing from the bombs and fighting, many people arrive with little to nothing, and are reliant on the support extended by the country they find themselves in. In Vian’s case it is support extended by the Kurdish community, as well as by United Nations High Commission for Refugees (UNHCR) and local non-governmental organisations (NGOs), such as Christian Aid partner REACH (Rehabilitation, Education and Community Health). 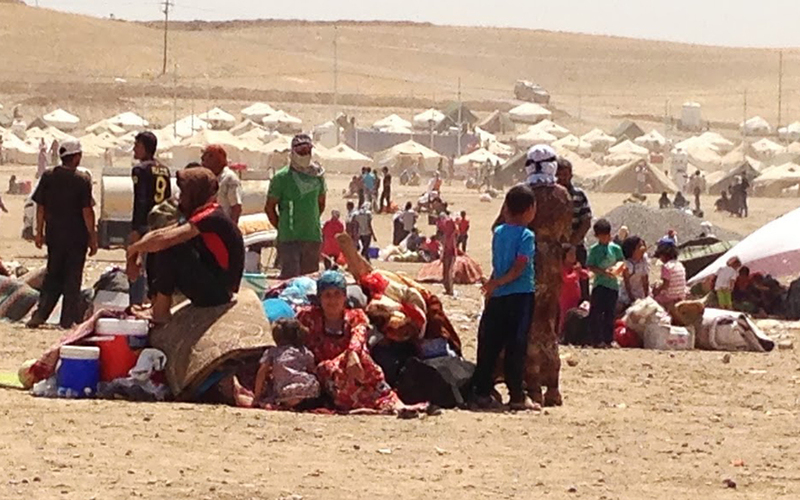 The only official refugee camp in northern Iraq, Domiz, is already overcrowded. Many people have therefore travelled further, to other places and are living in informal refugee settlements. Many do not have enough food to eat, and are living in cramped conditions. What is the impact on Lebanon and Iraq of the huge numbers of displaced people? There is huge pressure on host communities who are struggling to cope with the numbers of new arrivals. It puts increasing pressure on communities who have already been overwhelmed by the number of refugees seeking sanctuary. Are there any stories from refugees that have stood out to you or your colleagues? David Cameron has recently said that we should we focusing on humanitarian aid to the region. What are the main needs, and how can we help with this? Building peace in the region is of upmost importance, at the G8 Summit in Northern Ireland earlier this summer, world leaders committed to peace talks, but did not put a clear time frame in place. You can help by urging President Obama and President Putin to act quickly and put their political weight behind making the peace talks a reality and a success. You can sign this petition http://www.change.org/petitions/don-t-let-syria-down which will be delivered directly to President Putin and President Obama and copied to the UN/LAS Envoy to Syria and G8 Leaders, calling them to work with all parties to the conflict to make the peace talks a success. Many of my readers consider prayer an important part of their own daily lives and a means of supporting others in need. What can we pray about for the Syrian people? I would invite you to pray with us at Christian Aid for the people of Syria. Let’s pray for peace in Syria, for wisdom and grace for those that will be part of the peace talks and for an end to the conflict. We can pray for protection for those still in the country who are experiencing the fall out of the violence around them, for their protection and for peace amidst the troubles. For comfort for those that have experienced the loss of loved ones and are grieving. Pray that our partners and other agencies working in the region will be able to assist those in need, that no one would be left without aid. Pray that God would bring hope, in its many guises to the people of Syria, hope in the shape of food and shelter, hope in the shape of a better future. Is there anything else you would like to add about this situation or the work of Christian Aid in general? Travelling for hours, often in the searing heat, more than 42,000 Syrian refugees have crossed the Western Syrian border into northern Iraq since mid-August. Many have arrived on foot, exhausted and hungry, after having travelled through mountainous desert.